“No No: Dockumentary” (2014), by Jeff Radice, is a biographical sketch of the career of Major League Baseball pitcher Doc Ellis, who pitched a no-hitter for the Pittsburgh Pirates on June 12, 1970 in San Diego (on the road) against the Padres, while under the influence of LSD. He walked eight and hit a batter, so the result is amazing. That game happened just after I had started my own work career and was temporarily living in Indianapolis. The biography starts by noting that the comfort of African-American baseball players had not really improved that much since Jackie Robinson broke the ranks (the film “42”). But as the film progresses, it deals increasingly with the problems of drugs in baseball and sports, which got increasing attention from the major media in the 1970s and 1980s. But this issue was with cocaine, LSD and the like; it predates the scandals over the use of steroids and performance enhancing drugs that would affect baseball later. Player would eventually testify about drug use, some pitchers admitting to throwing at hitters when using them. The film shows the look of major league stadiums during that time. Many stadiums built from the 60s through the 80s were symmetrical, as there was a belief that baseball stadiums should be more uniform for fairness and integrity of statistics. Since the 1990s, there has been an interest in a more retro, individualized retro look, as with Baltimore’s Camden Yards. The film shows some World Series play in Baltimore’s old symmetric Memorial Stadium. Ellis retired early, in 1980, at 35. The Washington Nationals pitcher Jordan Zimmermann pitched a "no no" on the last day of the 2014 season at home against the Miami Marlins. The slang term for a no-hitter reminds me of the name of the laser or heat-wave depilatory tool advertised heavily on some cable channels. The official site is here film on Netflix Instant play. It is available on both Amazon and YouTube, too, for legal rental. 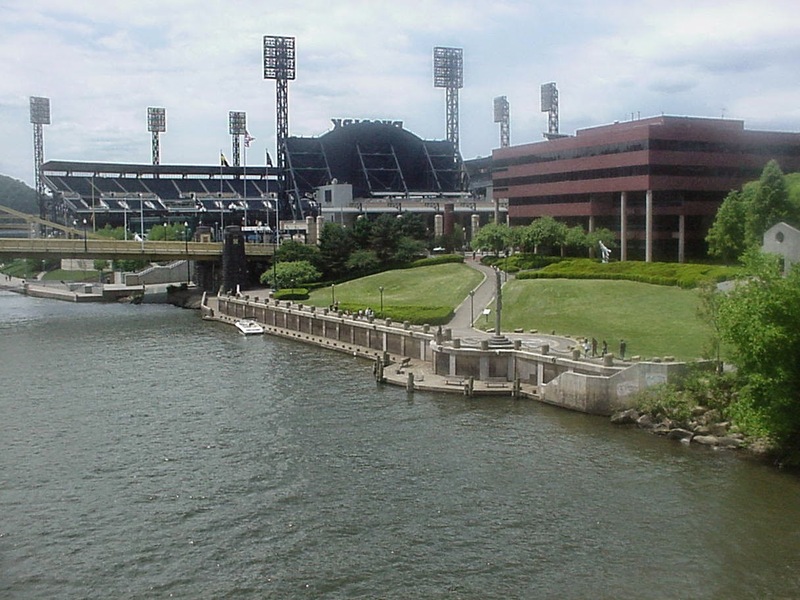 Picture: modern stadium of Pirates in Pittsburgh, my visit, 2007.